This orange and white velvet drape set with thermal suede lining is available and ready to ship. Each ring top style drape has a band on the back of the drape to put hooks in to attach rings on a rod. 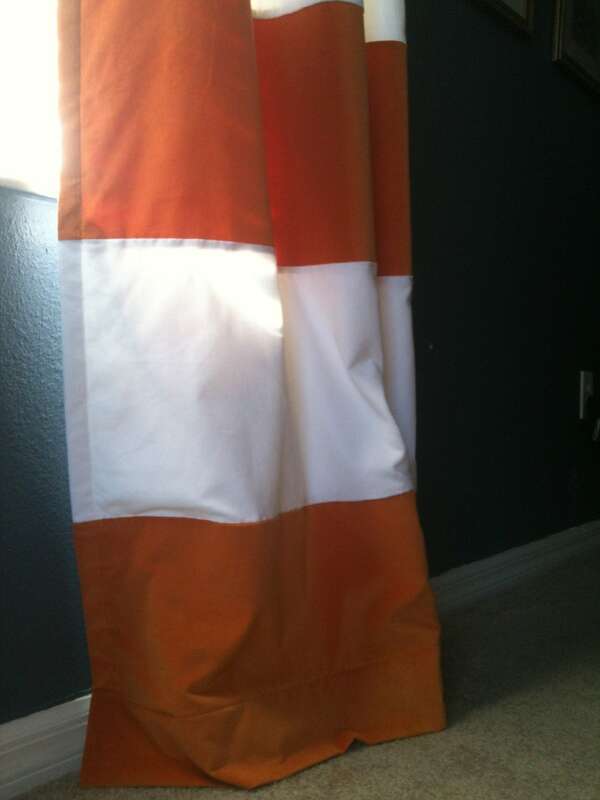 Listing is for a pair of 50" x 96" lined drapes in the orange and white velvet. These drapes are on sale 50% off! Regular price is $284 a pair. 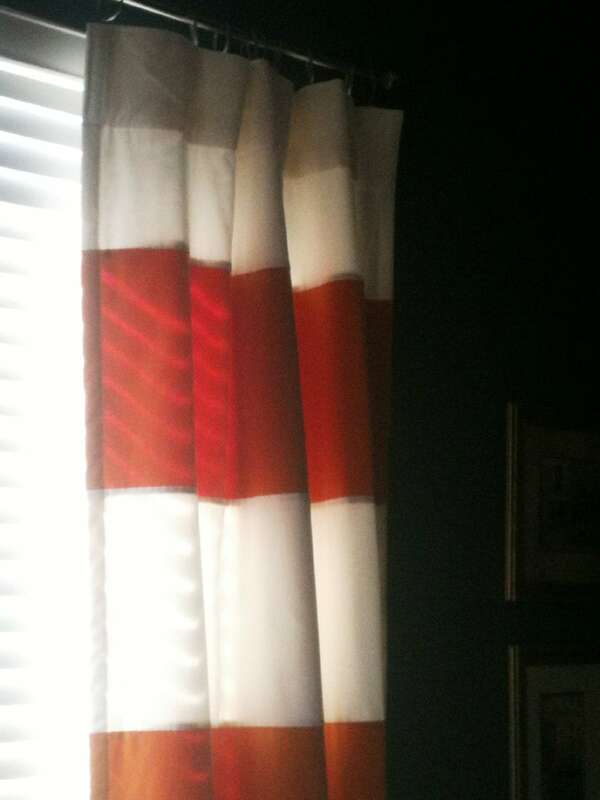 This pair of drapes can be shortened at no additional cost. 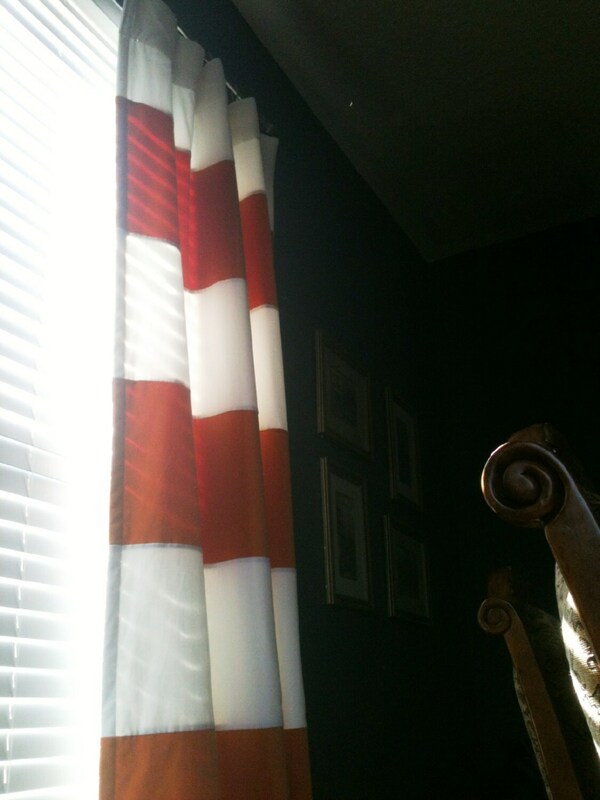 We offer these drapes in other colors and sizes here https://www.etsy.com/shop/avecdieu/search?search_query=velvet∨der=date_desc&view_type=gallery&ref=shop_search. If you don't see the size needed please message us for a custom order.